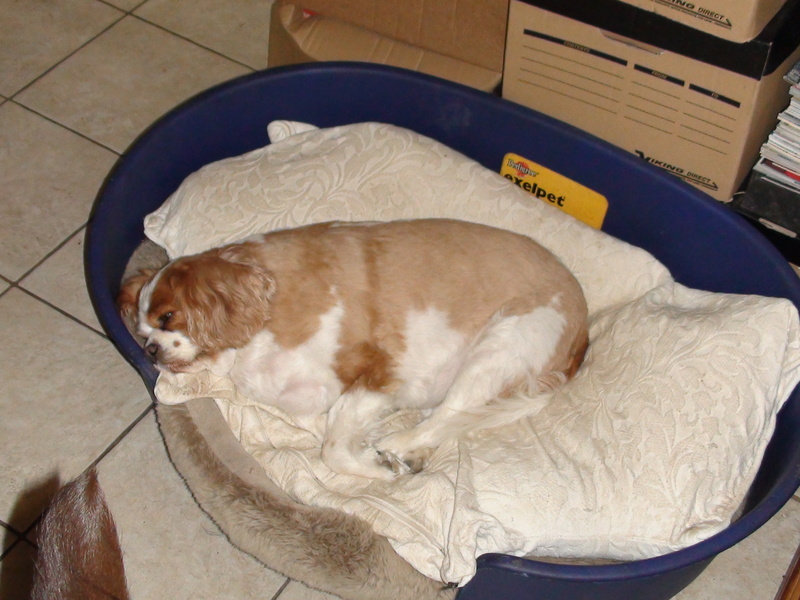 If you’ll permit me a personal indulgence, I wanted to take a moment here to write some words about one of my family’s dogs, a beautiful King Charles Spaniel named Poppy, who sadly died last week at the grand old age of 15. Dogs have been a major part of the Graydon family over the last 35 years – indeed, they’re my mother’s singular passion – and I cannot remember a time when my family home wasn’t filled with dogs, be they Old English Sheepdogs, Labradors, Shih-Tzu’s or King Charles’ – our favourite breeds. Poppy, our third King Charles, was one of our menagerie that I was particularly close to because she absolutely loved me, her most common expression of affection was licking my face non-stop until I pulled away. Had I not, I don’t think she would have stopped and, besides, it was hard to, because she had a pair of big round eyes that were just filled with love. She loved fiercely – in that sense, we were alike. Like most King Charles’, she had a big appetite and, in her later years, she became a Big Girl, looking like a miniature cow, but she remained a beautiful lady. One of her less appealing traits in her declining years was she had the loudest snore of any animal I’d ever come across, one that would literally startle visitors to the house. Oh, and she was very temperamental too, especially when it came to food. If any of the other dogs even motioned in her direction, she would emit this ferocious growl that belied her size. Sometimes, when one of the others inevitably tried it on, we’d be presented with the highly amusing sight of our “tubby duchess” embarking on a fierce “attack waddle” against a dog four times her size. When it came to bones, she gave no quarter. Poppy and I had this little game, where I would run to the corner of the kitchen, kneel on the floor and she would trot to me, with bulging eyes, a big smile and her backside doing this funny wiggle. Then I’d run to the opposite corner and we’d do it again. It always ended in a big hug and a belly rub for her – and big kiss for me. When she was much younger, I always remember how, when she rolled on to her back, her tail would spring up and cover up her “dignity” – always a lady. Thankfully, her end was quick, her heart giving out in the middle of the night. Before I buried her, I cut some off some locks of her lovely white and red coat and placed in a pouch, the same ritual I did with my beloved cat Milo, who died last summer. Though both animals are utterly imprinted on my heart, it seemed only right to keep a small piece of them with me. And just like Milo, Poppy had this ability to instantly raise my mood, were I feeling low. Her love was so effusive, so “THIS is for YOU!” that it makes me miss her very much now that she’s gone – even, surprisingly, that epic snore. Poppy: my beloved "Tubby Duchess", 1995-2010. That was a nice and touching piece!. I too lost one of my dogs recently – a 9-year-old boxer. She was such a sweet animal. Memories of the nice times we had are vivid in my mind.